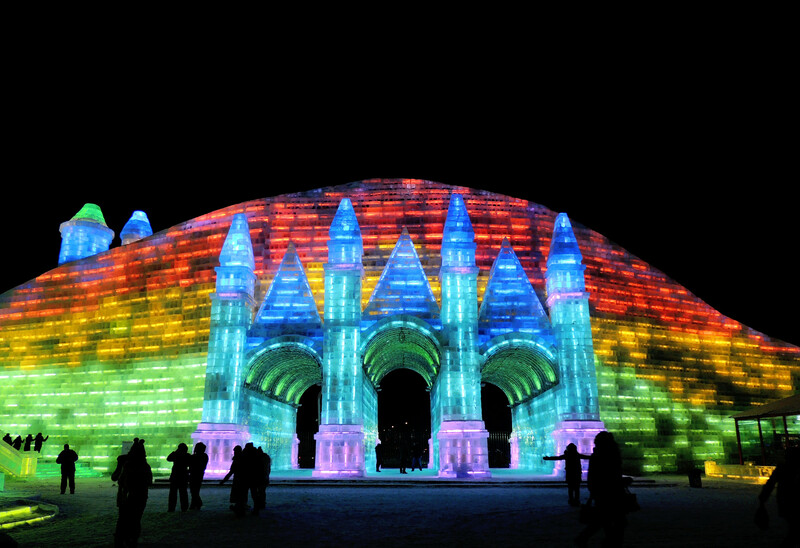 Well-known as the “ice city of the world”, Harbin City is an extremely popular tourist destination for winter sports enthusiasts. 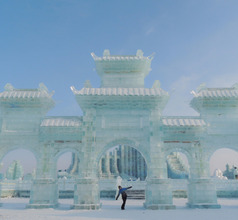 It is the capital of the Heilongjiang Province which lies in the northeastern corner of China. Its ski resorts and nature reserves have made it a perennial winter-tourism zone because the ice never melts here. 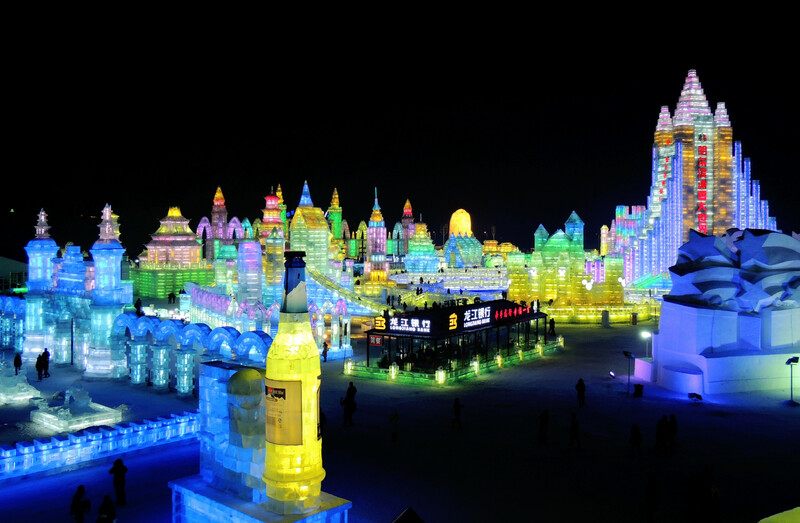 It is little wonder that Harbin City saw nearly 139 million inbound tourists in the year 2017! 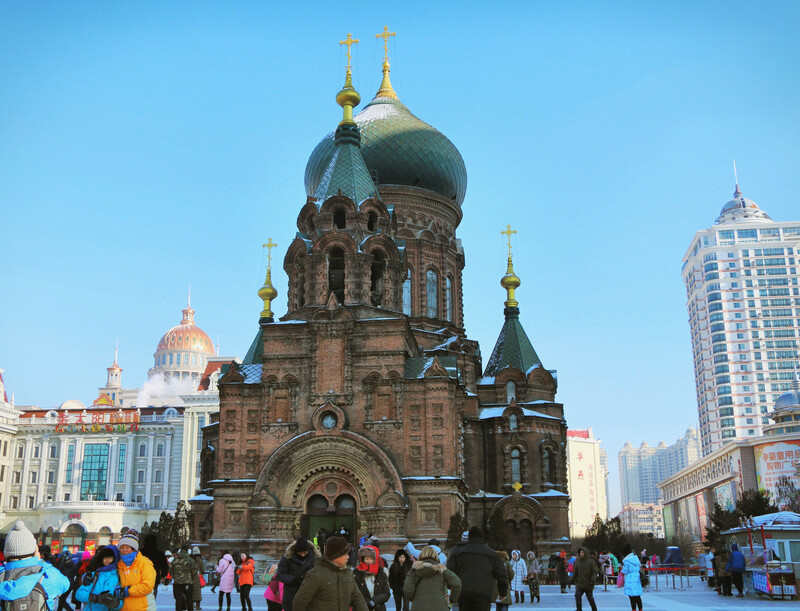 Seeing the architecture one is amazed by the strong Russian influence in Harbin City. In the 19th century, when Russian engineers constructed the Trans-Siberian Railroad, they left behind a classic Russian culture in the form of the splendid Saint Sophia Cathedral. This Eastern Orthodox Church is also a museum with relics showcasing the history of the time. Central Street is another beautiful avenue with its Russian-style buildings. 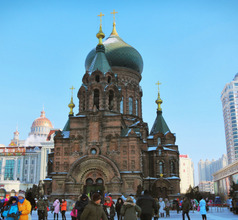 The Jewish New Synagogue is another example of external influences in Harbin. The synagogue also has a museum that contains artifacts depicting the history of the Jews in Harbin. The old synagogue has been converted into a café and youth hostel. The Harbin Dragon Tower is a 336 meters tall ultra-modern skyscraper. Similarly, there are many other tall iconic buildings that illuminate the skyline of the city with their state-of-the-art architecture and modern eco-friendly designs. They include the Harbin World Trade Center, Agricultural Science and Technology Building, Harbin Bank headquarters, etc. These buildings are located in a busy commercial zone along with shopping malls, recreational facilities, entertainment zones, and more. 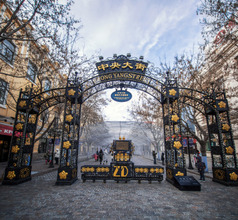 The rated hotels in Harbin are located in the busy urban areas of Youyi Road, Zhongshan Road, Ganshui Road, Shangyou Street, Chuangxin Yi Road, Zhongxing Avenue, and Songbei Avenue. They follow the tradition of hospitality and service that is ingrained in the local people since ages. Some of the amenities include central heating, concierge services, 24x7 in-room dining, housekeeping, taxi services, airport shuttles, babysitting services, and more. There are also various mid-range hotels and low-priced hotels/lodges available for those traveling on a limited budget. 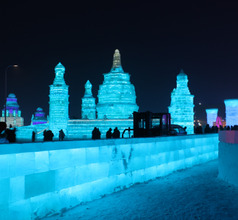 There are various theme hotels as well in Harbin. There are ski resorts in the mountains, shopping-special hotels located near the pedestrian streets, business hotels offering special services like conference rooms, and events hotels with large banquet halls. 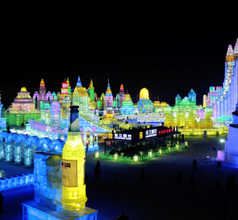 The landmark event that sets Harbin apart from the other cities in China is the Ice and Snow Festival. 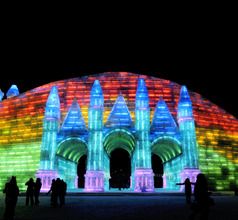 It is held here each year in the month of January in the winter season. 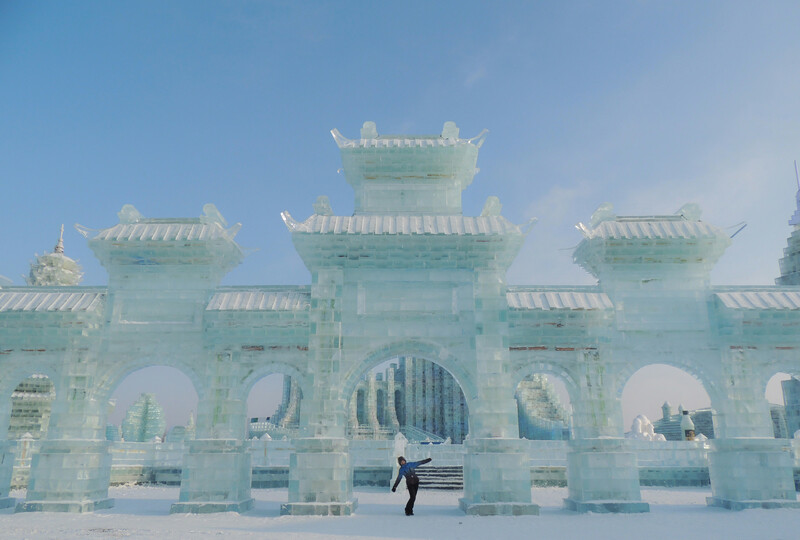 The best and largest ice sculptures can be seen at the Ice and Snow World, Zhaolin Park, Yabuli International Ski Resort, Sun Island Scenic Area, and the Ice Lantern Garden Party venues. Winter sports activities like skiing and snowboarding are also popular pursuits at these places. 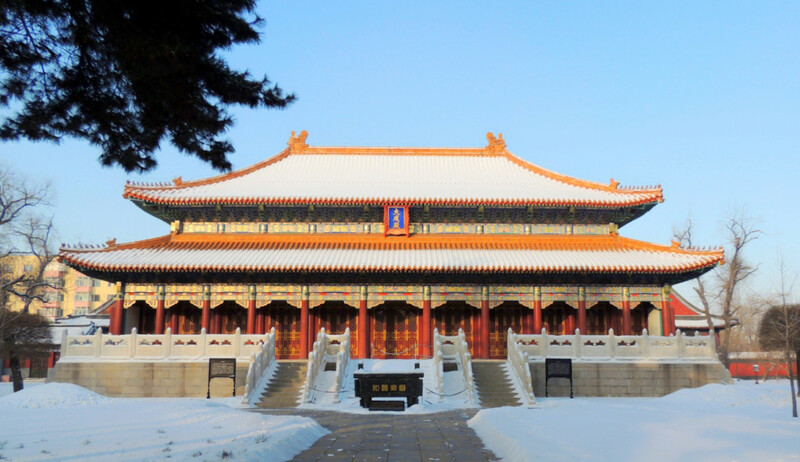 The Harbin Confucius Temple and the Jile Temple strictly follow the traditional Chinese architectural style. 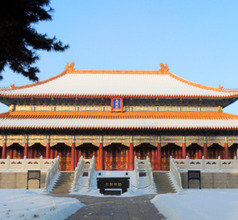 Other attractions include the Riverbank Park, Siberian Tiger Park, Unit 731 Museum, Harbin Polar Land, Heilongjiang Provincial Museum, etc. 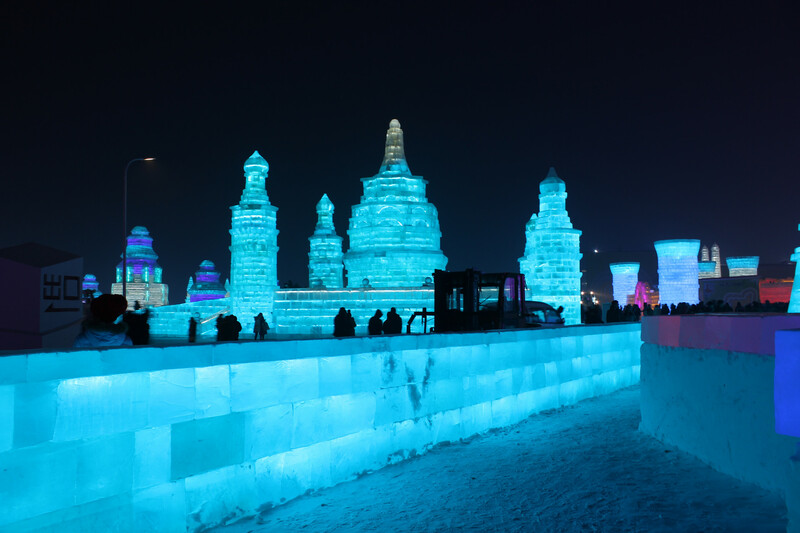 Families and big groups of tourists also indulge in other enjoyable activities in Harbin like the gondola ride on the Songhua River, skiing on the slopes of the Deer Flat ski resort, and rafting on the artificial river in the Mao'er Mountain valley. 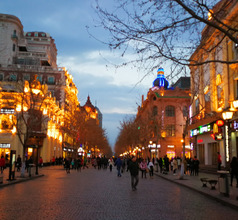 Bargain shopping is another pleasurable activity in Harbin City that visitors can indulge in. There are numerous shops selling imported Russian vodka, dolls, furs, petrified wood, chocolates, musical instruments, food items, toys, electronic items, handicrafts, clothes, accessories, jewelry, Chinese antiques, etc. The best bazaars are Toulong Street Wholesale Market, Jianshe Street Russian Market, Northern Diduan Street Market, Yonghe Street, Nantong Street, etc. Harbin Taiping International Airport is a double terminal, laid back airport in the capital of Heilongjiang province. 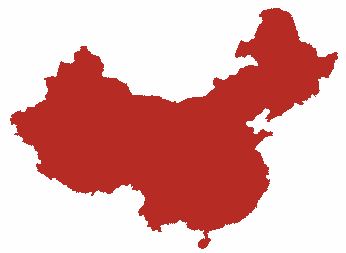 It has stop overs from all local major carriers and some international airlines which provide well-worn links within China, Russia and Southeast Asia along with links to top airports in the west. The shuttle bus takes RMB20 to get to anywhere in the city while a taxi would cost RMB120 plus for a trip downtown (40 kms apart). The star hotels have their in-house multi-cuisine restaurants that cater to overseas tourists. Even the remote ski resorts serve International fare because they are accustomed to serving a large number of overseas tourists. 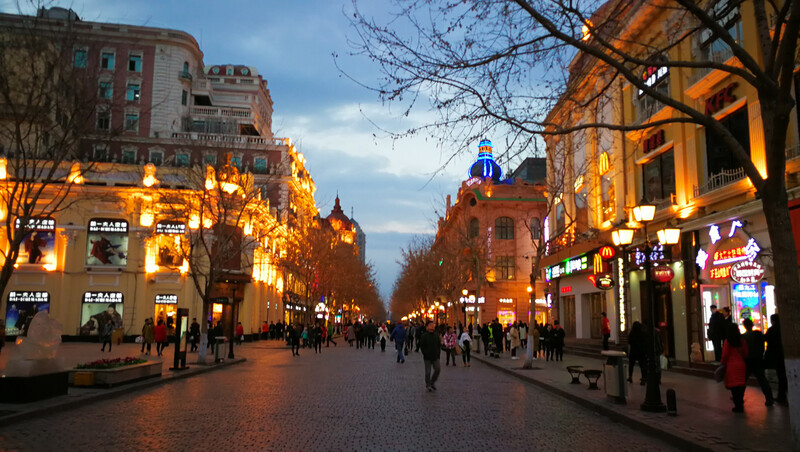 But the real essence of Harbin City is in its food streets. Their cuisine is rich and aromatic. 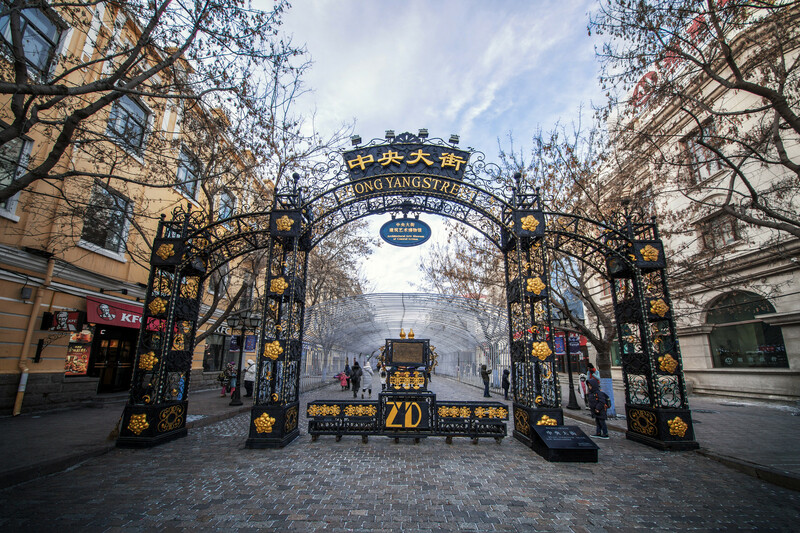 The Zhongyang Dajie Pedestrian Street is the best place to try out the local grilled meats, fried potatoes and mushrooms, ice cream stalls, and skewers of seafood. Some of their must-haves are garlic oysters, treasure crab, stinky tofu, grilled octopus, sweet and sour pork, skewers of BBQ meat, fruit skewers, sweet potato, and ice cream.